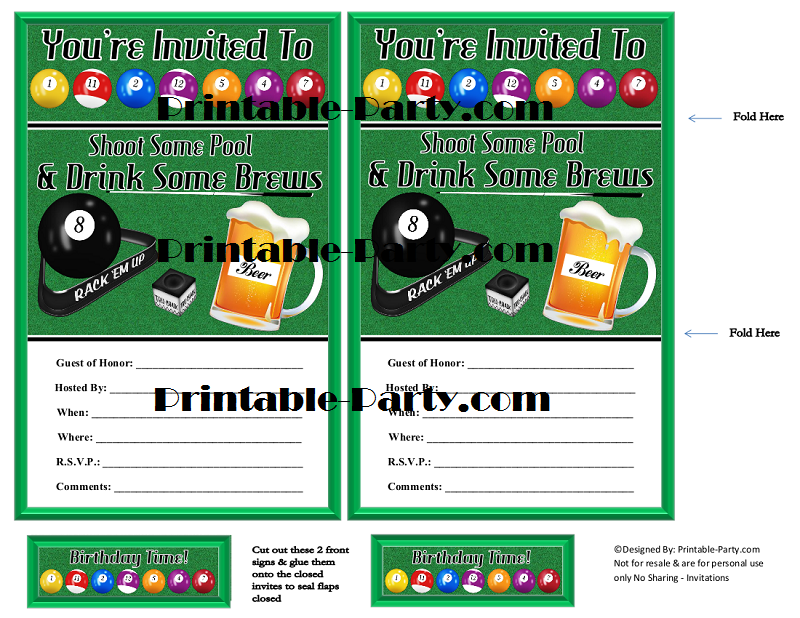 Pool & brews themed billiards party supplies that are digital & printable. 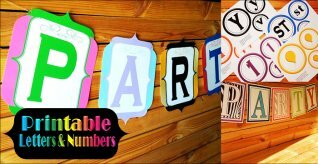 This pool table themed decoration PDF kit is unique & stylish. 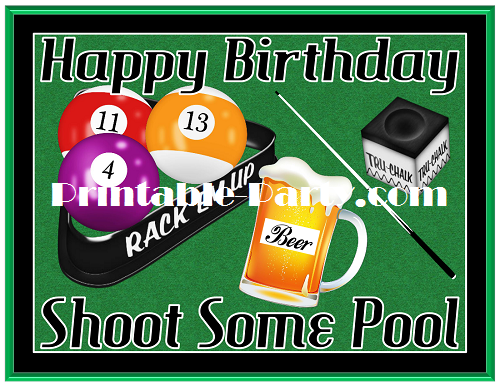 Create a fun filled celebration using billiards decoration seen exclusively right here. 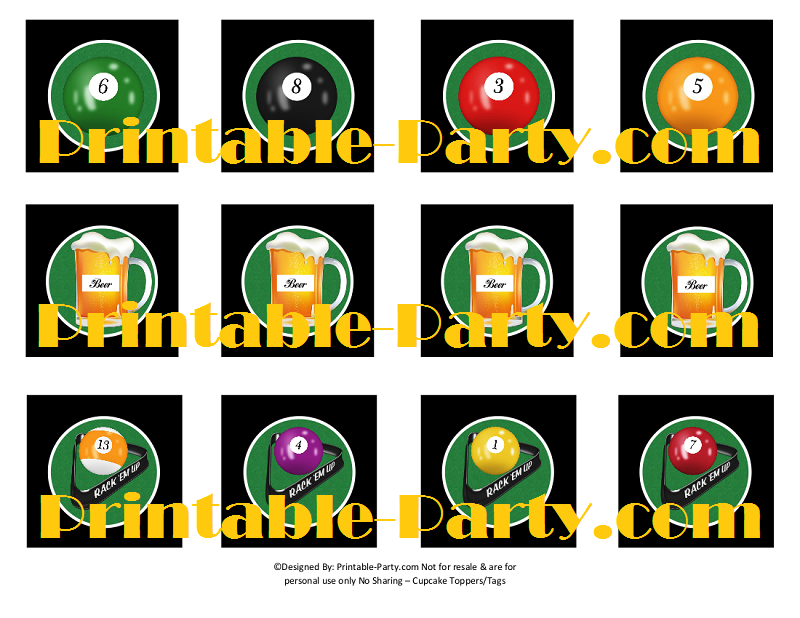 Shoot some pool & drink some brews using this one of a kind billiards party supplies theme to celebrate your occasion. 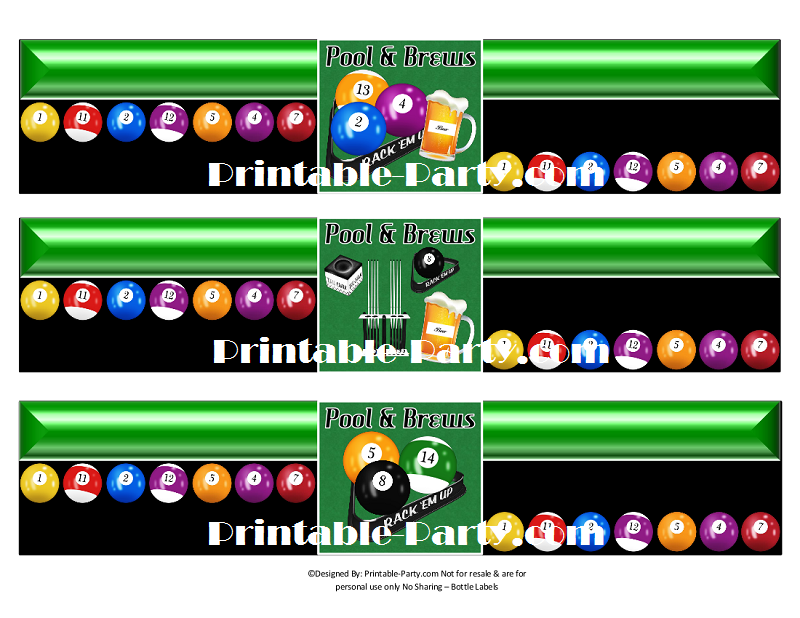 This party theme is designed with pool tables & pool balls. Bright green felt & black are repeated throughout the background. 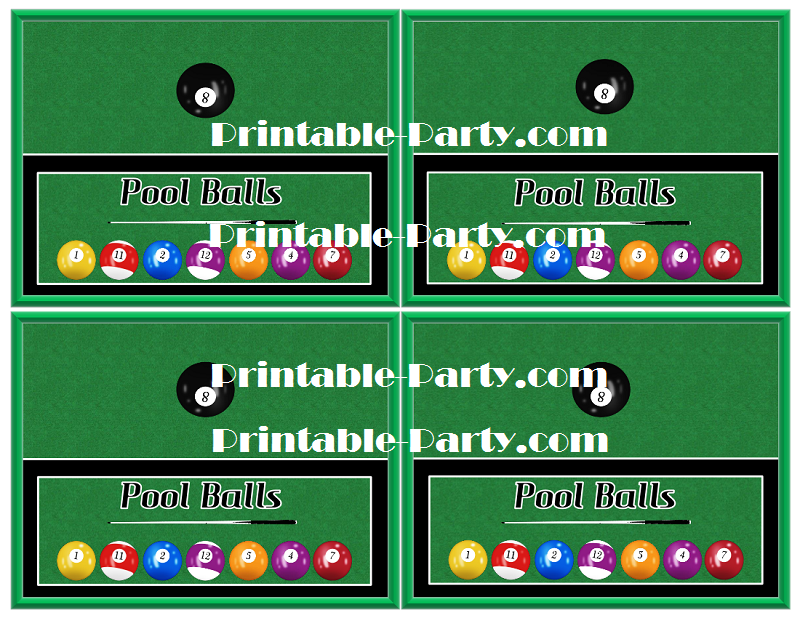 Pool sticks & chalk cubes are there & all you need to do is decorate & rack em up! 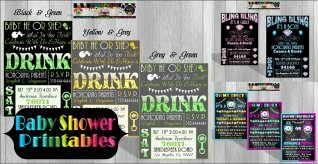 Treat bag toppers come in 1 Design. 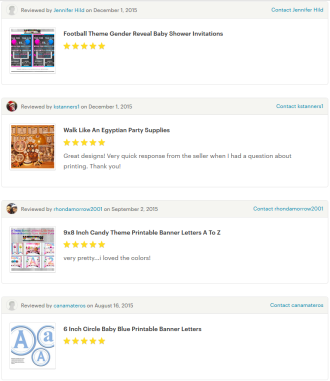 Will fit standard sized lunch bags, Ziploc bags, & cellophane bags. 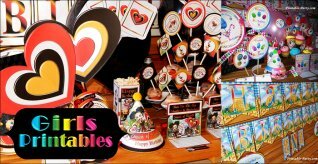 Fill with round colorful candy or gumballs & more! Staple to seal. 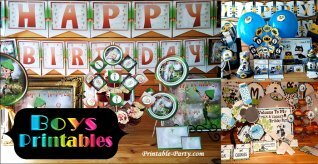 2 Inch cupcake toppers that come in 12 designs. 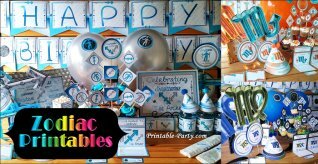 Cupcake toppers are great for placing onto the tops of cupcakes, glue onto gift bags, & more!